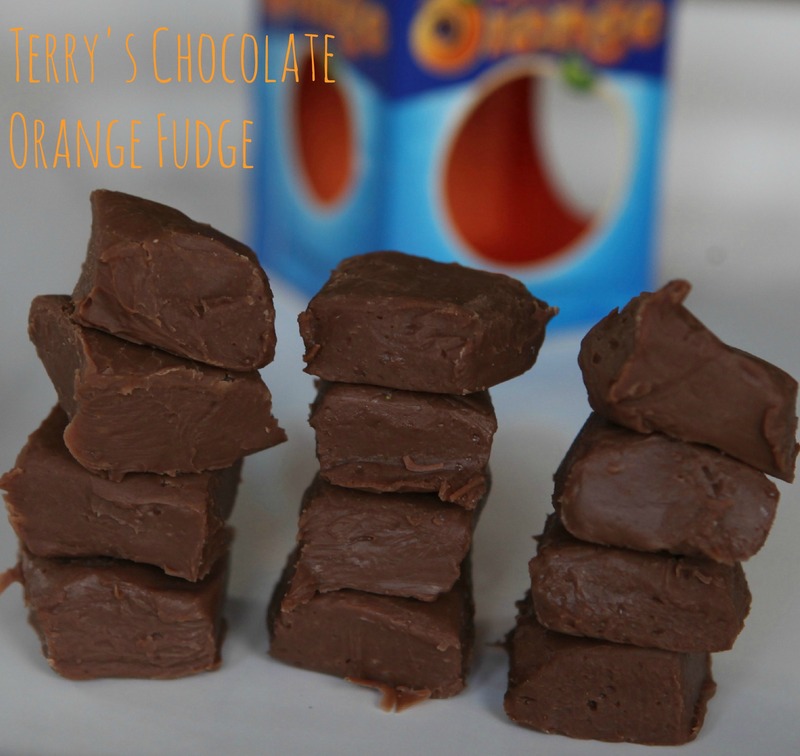 As much as I love eating it as it is, straight from the orange foil wrapper, I thought it would make great fudge which, in turn, would make a great gift for those chocolate orange lovers among us. 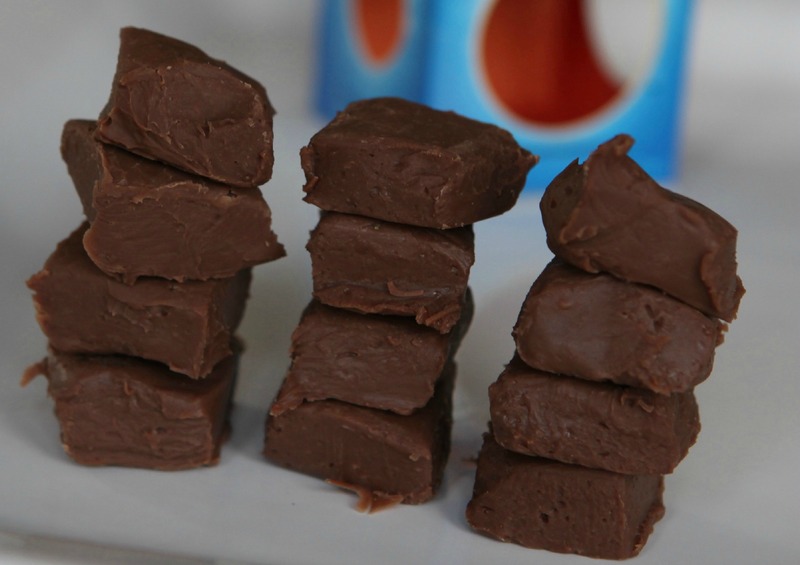 With Father’s Day this Sunday, this quick and yummy fudge would make a lovely homemade gift for you and your children to make for the special man in their life. Here is how you can mak a batch yourself. 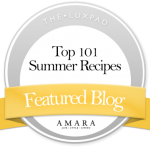 When ready to use, simply peel off the parchment paper and cut into bite sized squares. The ‘fudge’ is very sticky and gooey so take care when cutting. I dipped my knife into hot water to make the slicing and cutting easier. This quantity makes approximately 20 pieces. It needs to be kept in a sealed tub (use parchment paper to stop the fudge squares from sticking to one another) in the fridge to keep its shape, and should last for a week or so. It tastes really very nice indeed! It is just like a soft and gooey chocolate orange really. Please keep it somewhere cool though…if it lasts that long of course! 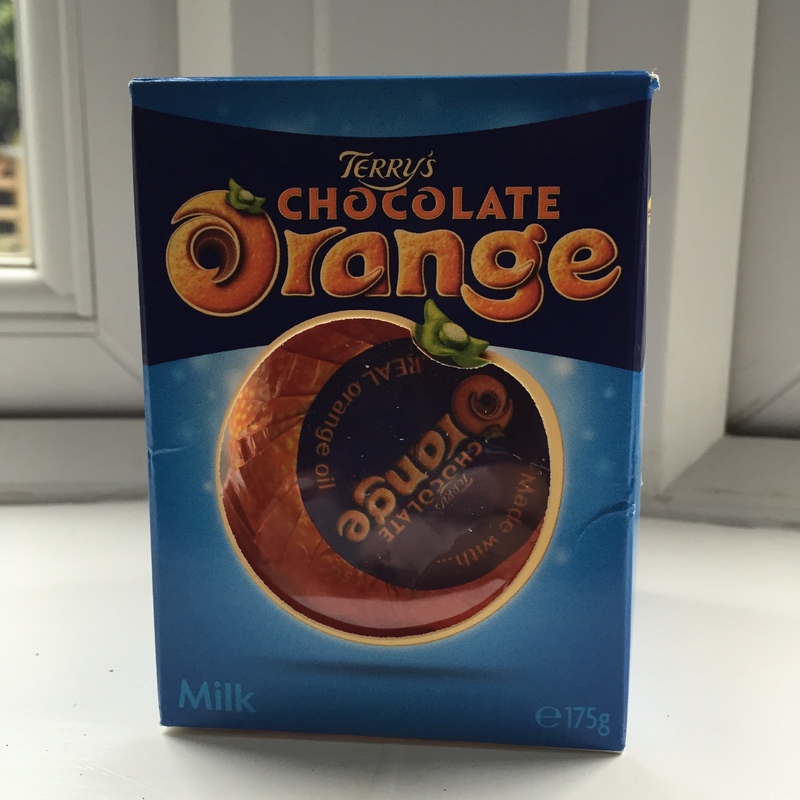 I was sent a Terry’s Chocolate Orange for the purpose of a review.